Manheim’s three dedicated commercial vehicle auction centres are the first in the industry to gain the prestigious Institute of Customer Service (ICS) ServiceMark site accreditation. The gong means Manheim’s CV centres at Gloucester, Haydock and Leeds join the Bristol auction site and its Inspection Services team as accredited ICS businesses. Other brands that boast ICS accreditation include Bausch and Lomb, Boots and Ford. Manheim have committed to rolling out the ICS World Class Customer Service programme across their entire network of UK auction centres over the coming months. Marcia Unitt, Customer Services Manager at Manheim, said: “I’m passionate about customer service and very proud to see Manheim’s dedicated CV auction centres become the latest sites to gain their ICS ServiceMark accreditations. “The ICS framework is fantastic and their stringent accreditation process proves we deliver world class levels of customer service. “Manheim joins the likes of Audi, BMW, Inchcape Fleet Solutions, Mazda, Mercedes Benz Retail, Nissan and VW in the UK motor industry, who are already ICS members. “The ICS ServiceMark accreditation is valid for three years; however our work does not stop here – far from it! 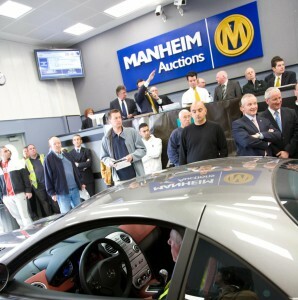 “Customer service is at the heart of everything we do at Manheim. James Davis, Director of Commercial Vehicles at Manheim, added: “I am so proud of this achievement. “Manheim’s journey to ICS World Class customer service accreditation began back in 2011 when I launched the CV Customer Charter. “Customers have been telling me that we are industry leading. “These same customers were surveyed as part of the ICS accreditation and their scoring ranked us one better: world class! “Make no mistake, this is a significant moment in the history of Manheim Commercial Vehicles. “We’re not content to leave it there and there is more to do where customer service is concerned. The Institute of Customer Service was set up in 1996 as a not-for-profit professional body for customer service. They seek to lead customer service performance and professionalism and offer membership to individual customer service professionals and organisations. Nearly 7,000 individuals and more than 300 organisations are members.